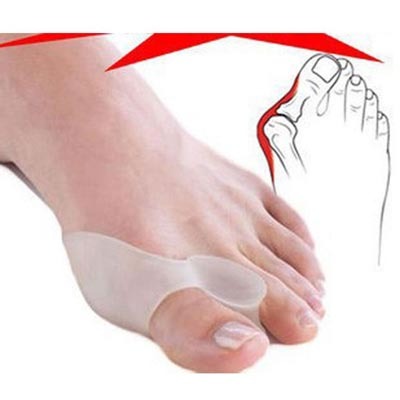 Toe separators are intended to reduce friction and irritation between the toes. There are several conditions that can force the use of separators, all involving toes that are in an awkward or uncomfortable position. The devices carefully pull the toes into a position where they do not touch to increase a person's comfort level. They can be made of foam, gel, cotton, and moleskin, among other materials, each with an intended usage.